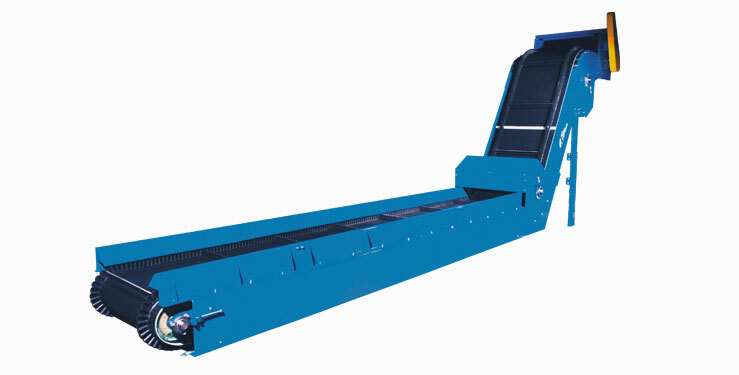 This rugged, versatile conveyor can be used to convey large volumes of everything from metal scrap or parts to large volumes of nuts or bolts. This unit is also used to convey large volumes of bulk products like wet sludge or sand. Infeed Pulley: 8" Dia Crown Face Take Up x 1-7/16"
Corrugated Belt: 2-ply 150 cross rigid with 2-1/2" high cleats on 12" centers with #1 unibar lacing with 3" high corrugated sidewalls.